Now you can increase productivity and eliminate the costs and waste associated with pre-printed labels with Epson's ColorWorks Desktop Label Solutions. Ideal for high mix label requirements, these solutions feature commercial inkjet printers; fast-drying, durable colour inks suitable for a range of media types and sizes. 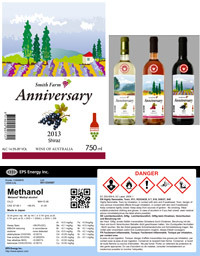 With on-demand colour printing, instead of maintaining an expensive inventory of pre-printed labels, you can print the labels you need, when you need them. 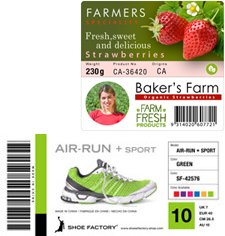 Already Epson's ColorWorks Desktop Label Solutions are delivering proven results for a wide range of labelling applications from packaging and manufacturing to logistics, retail, ticketing and more. Epson is known worldwide for the high reliability of its products and innovative solutions designed to solve customer's needs and provide significant cost savings. Epson's ColorWorks Desktop Label printers feature Epson's patented MicroPiezo® Inkjet Technology and Automatic Nozzle Checking Technology to produce consistent prints every time regardless of print volumes. Epson's renowned DURABrite® Ultra and ULTRAChromeDL pigment inks deliver not only superior quality prints but long-lasting, smudge free, light fast and liquid resistant labels. Besides, Epson's ColorWorks Desktop Label printers are economical and eco-friendly with low power consumption and has a durable Auto-cutter on board the printer for ease of use.